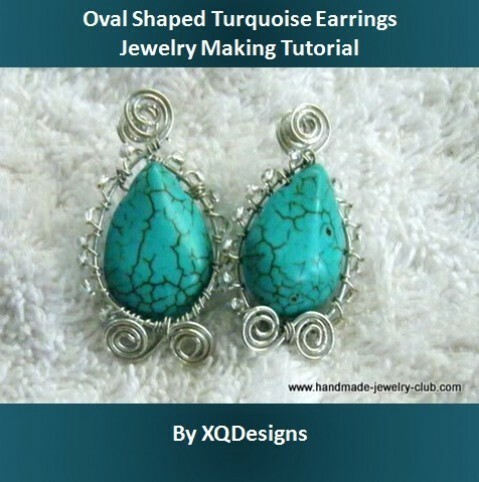 The design used turquoise oval shaped bead wrapped with copper wires embellished with beads that adds glitter to the earring’s surrounding. With this tutorial, you’ll learn how to make spirals and double spirals, and also learn how to wire wrap with beads. The design can also be used on other shapes of beads like flat back beads, tear drop beads and maybe even round beads. Cut approximately 13cm 0.8mm copper wire. 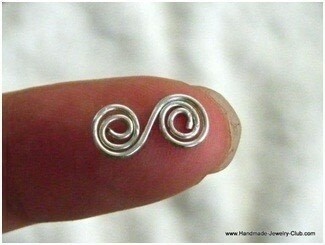 Bend to 90 degrees 0.6cm and make a loop. 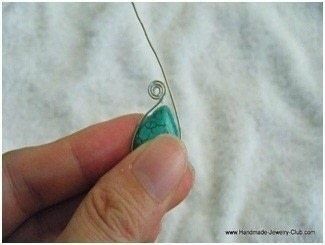 Take your oval shape bead and wrap the wire around it to form the wire into an oval shape like shown in this picture. 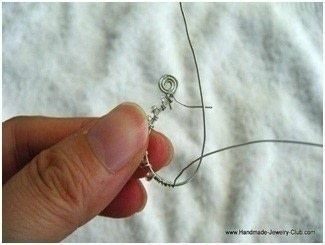 Cut 30cm 0.3mm wire and wrap the wire onto the earring frame several times. 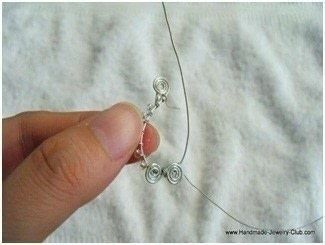 Then start wrapping the wire by sliding in a seed bead one at a time. When you reach the center part of the earring frame stop wrapping. 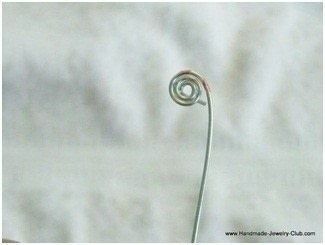 Cut 6cm 0.8mm wire and make a double spiral. 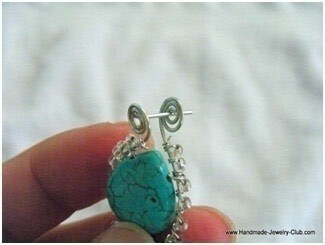 Attach the double spiral onto the earring frame with the 0.3mm wire and continue wrapping with seed beads. 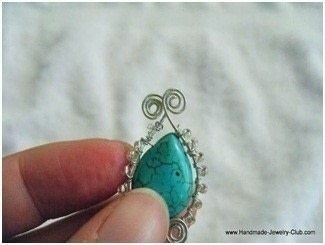 Then take your oval shaped turquoise bead and attach with a copper. Create another spiral on the other end of the earring frame and fit in your earring stud. You've managed to take a basic wire wrapping shape and make it so upscale and classy! I adore this design! !